So the new iPad has been out for two weeks now and in that time we have taken a few available cases for a spin. It is in this very post we will review the official iPad Smart Cover from Apple and two third-party cases from iFrogz and Casemate. 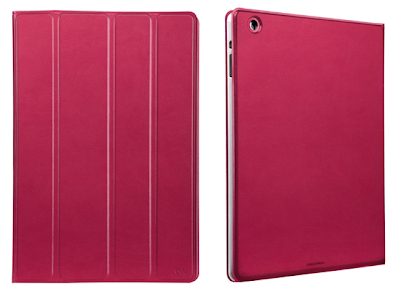 First up is Apple's very own take on the product, with their iPad Smart Cover. 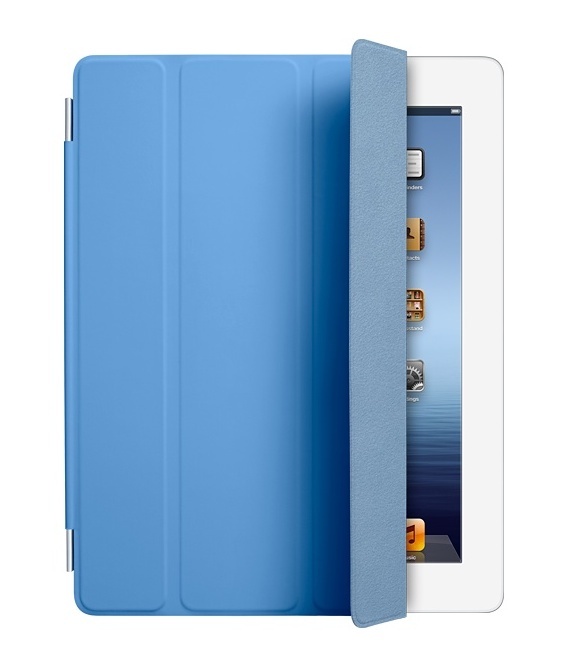 Little needs to be said here, as it's the same as the smart cover for the iPad 2. In fact, a neat factoid, Apple has said all cases made for the iPad 2 will "fit" the new iPad. Available in a variety of colors spanning two material types. The lesser cost polyurethane is available in dark or light gray, green, pink, and blue. Leather is an option for about double the cost in cream, tan, black, dark blue, and red color options I chose the manly blue polyurethane thank you! What makes the Apple Smart Cover actually "smart", is in its wonderful design. Thin, the smart cover has strategically placed magnets in various positioned polarity to provide a connection to your iPad that is not only strong, but perfectly positioned each and every time. That's physics! And that's just it connected to your device, there is also a magnet on the right side that when you close the cover, shuts the iPad screen off, much like the top power button on your iPad. Thats smart. Likewise when you peel back the cover, the screen instantly springs to life. Very smart! The only thing most people complain about is the lack of any protection for the rear of the iPad. All of that smooth aluminum is just naked and exposed. As an evolution of the original iPad case, this is hands down supreme. Next up we have been sent the CaseMate Tuxedo (MSRP $60) in a Hot Pink variety. They also have grey, orange, turquoise, and black...again, we received hot pink. No bother, we must soldier on. Featuring, smart magnet technology, that we quickly discovered was not so smart, and a unique way of holding your iPad in place; an adhesive tape. The thought of having a $500+ device held I place by tape didn't necessarily thrill me, or the possibility of its residue down the road. I was hoping they would employ magnets to bind to the iPad at the spine. The Tuxedo, does cover the back, however, due to the non-flat surface of said iPad, it doesn't fit like a glove, but rather just a flat back, leaving a lot to be desired. 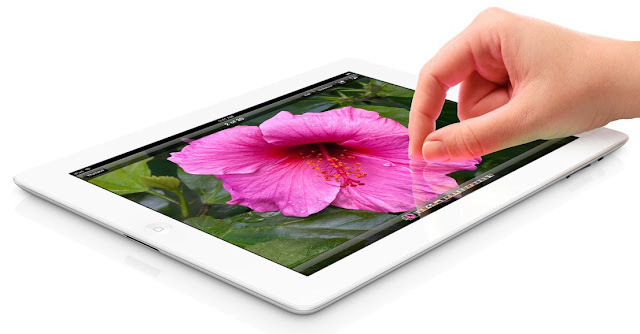 I also found, that the magnet technology did turn off and wake the iPad screen on the iPad 2 it did not affect the new iPad in any way. Lastly, we have the iFrogz Summit, their flagship new iPad case, that marries a bit of both cases above. Designed to appeal to the everyday businessman, the Summit (MSRP $59.99), is clad in a leather-like material (not sure if real or faux), and has a snap-in shell for the iPad itself, which does a nice job of holding your device sturdy-like. Also, incorporated, is a stylus loop to hold your stylus, or perhaps some Chapstick or something and a small pocket upon opening which can hold business cards. Even though you'll probably only be able to put a few in here before it gets too thick. Build quality seems solid here, but actually thats the case (see what I did there) with all three accessories here. Materials used in all instances, are nice to the touch, and seem as though will last a long time. The Apple designed Smart Cover is rated a B+ mostly cause the lack of a back side cover. The CaseMate Tuxedo, we graded a C due to a few mishaps in design, coupled with the fairly exorbitant price tag of $60, we wouldn't really recommend. The iFrogz Summit case is rated a B for its professional applications and extra added features.